"My teeth are best they have been in years. Great care and attention as always. Thank you." writes Fran, a patient here at Chris Bird Dental Care. 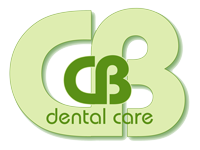 Chris Bird Dental Care provide a comprehensive range of dental treatments and cosmetic procedures to maintain and create healthy, attractive and natural looking smiles. All carried out in a pleasant and friendly atmosphere, which means taking time to get to know you as a person and finding out what matters to you. A simple technique, using gentle whitening gel to remove most stains, reversing the effects of ageing, coffee and tobacco. The gel releases active oxygen into the teeth, where it gently brightens discoloured pigments in dentine and enamel. A thin layer of porcelain/composite made to fit over the front surface of a tooth, rather like a false fingernail. Veneers can improve the colour, shape and position of teeth. A non-surgical method of smoothing lines and wrinkles in the skin, plumping sunken areas or thin lips and improving contours of the face. A series of injections into the skin or lips using botulinum toxin or Restylane® and Juvederm® dermal fillers can quickly and easily rejuvenate the appearance of the face. The results can be maintained by ‘top-ups’ every 3-12 months dependent upon the procedure. This is the basic repair of the mouth using fillings, bridges, crowns, dentures and implants. White fillings are now commonly used for back teeth as well as those at the front of the mouth. Modern materials are much stronger and provide pleasing, natural-looking results. These are sometimes called ‘caps’ and fit over weak, broken or heavily filled teeth to provide strength and improve the appearance of teeth. They have the shape and contour of natural teeth. These are used to replace missing teeth. The false tooth/teeth are permanently fixed to existing natural teeth. They are similar to crowns and look very natural. Our dentists are able to provide three grades of denture from a standard, natural-looking set to a custom designed, cosmetic choice for ultimate aesthetics. Commonly known as root canal therapy – a method of saving teeth that previously would have been lost. In this painless procedure, the infected or inflamed pulp of the tooth is removed, but the tooth itself is not. This is the treatment of gum disease. Healthy teeth need healthy gums and we can provide care and the best advice on how to look after your teeth and gums. We offer treatment for sore, inflamed or bleeding gums and gum recession. Usually a last resort unless needed for making space in the mouth to prevent crowding of the teeth. Always provided with the gentlest of care to ensure the least discomfort for this procedure. We can assess children and adults for this procedure. 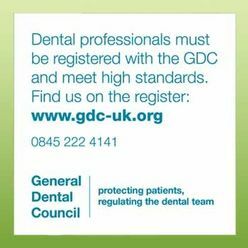 We provide a referral service to the hospital service or to specialised general dental practitioners. Invisalign® is available on referral. For more information or prices on any of the services available, please contact us and we can send you an information pack. Alternatively, we can arrange a free, informal chat with one of our friendly, helpful team or we can book a consultation for you with one of our dentists.